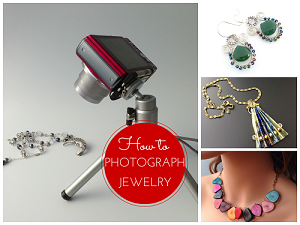 Ashley Mae of Phoenix, Arizona, is the artisan behind PinkythePink on Etsy. 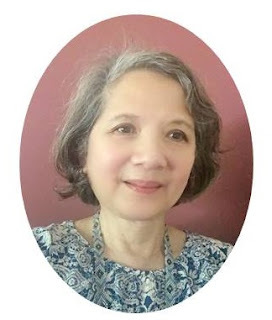 She is one creative individual specializing beading and cross stitch. 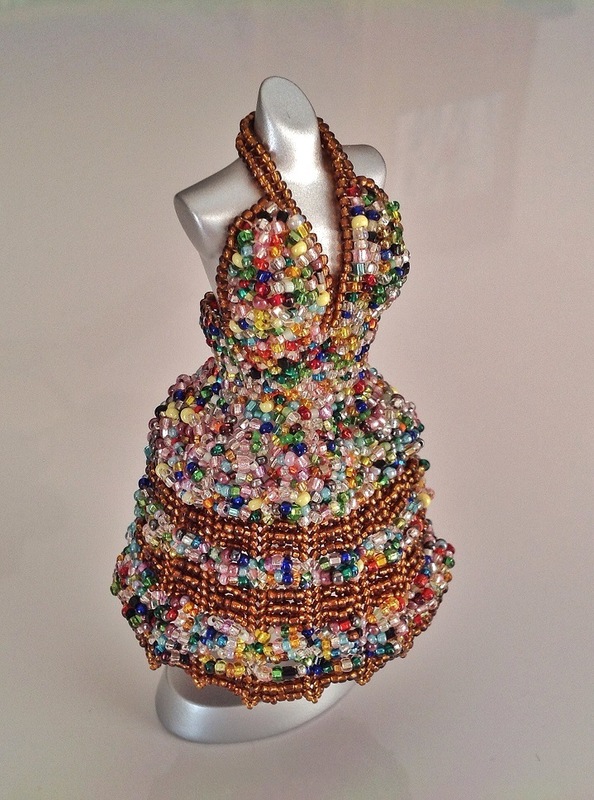 Her amazing miniature beaded dresses though really caught my eye! 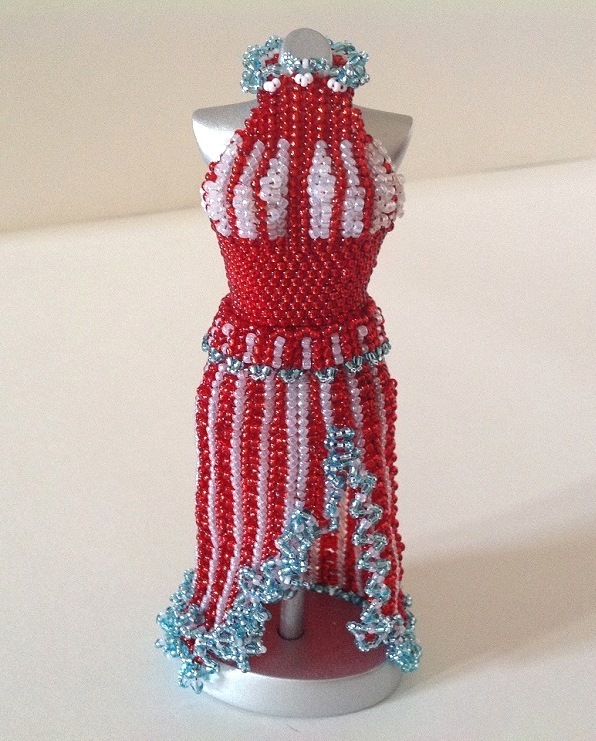 Ashley, whose nickname is Pinky, has a wonderful way of stitching tiny beads together to form very small gowns. 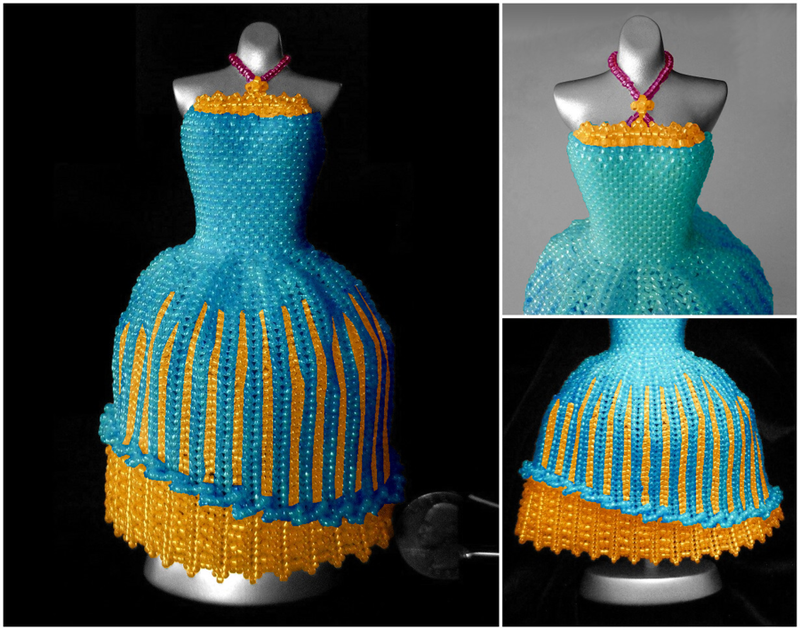 An artist's eye for color and detail as shown by her OOAK (one of a kind) Christmas dress below. 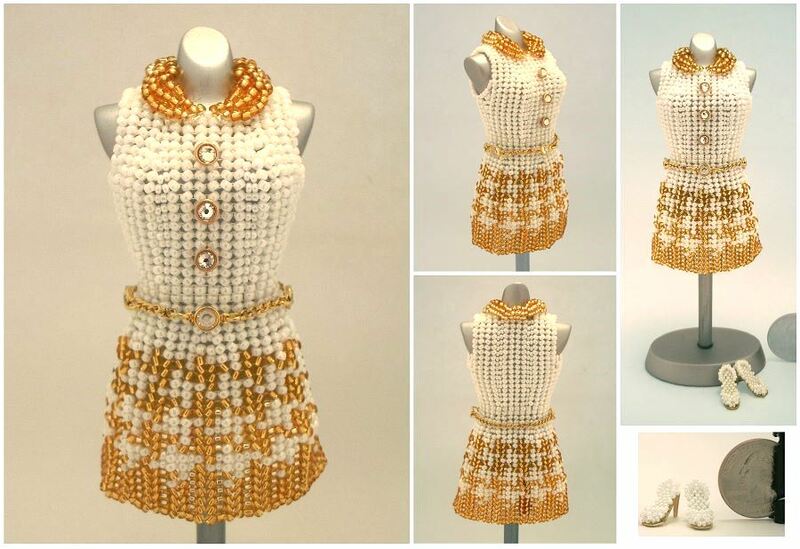 Check out the tiny matching shoes for this gold and white dress! 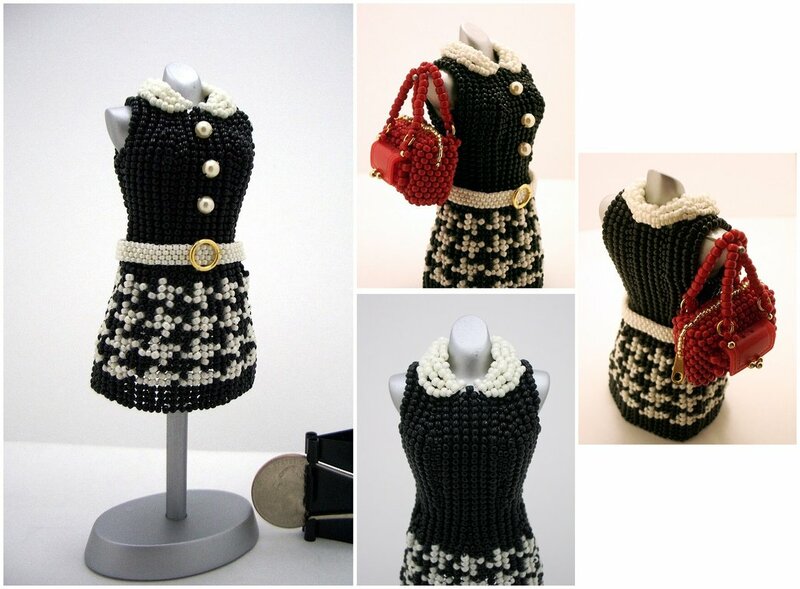 And the bag for this houndstooth outfit! 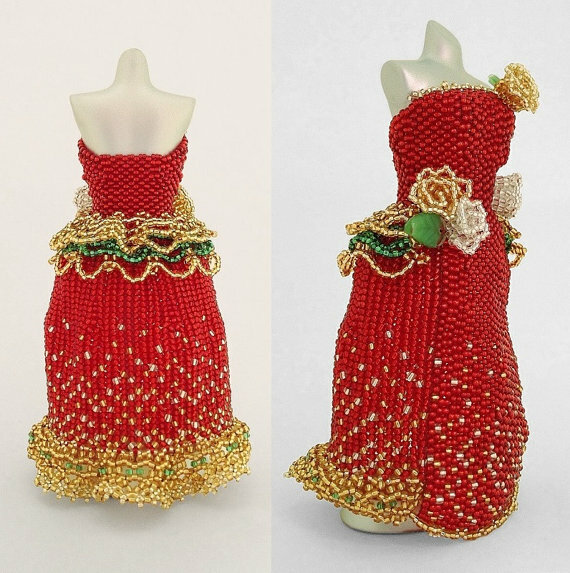 Most of her designs are adapted from Japanese miniature dresses although she does also design her own. She often"freestyles" her work ie she designs on the fly! 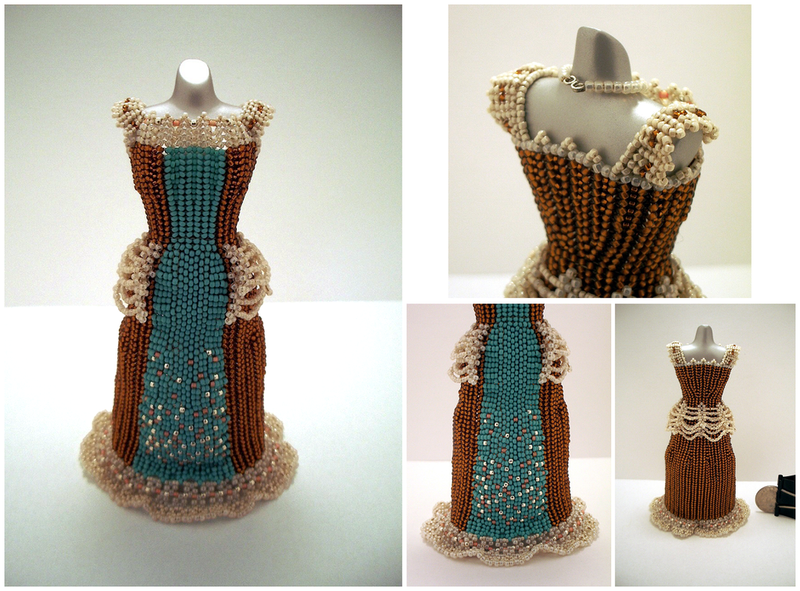 Ashley is also a friend of Sian Nolan whose miniature dresses I featured before. 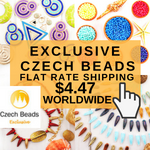 Ashley said of Sian, "She never did the five-inch-tall dresses like I do and has long since stopped making beaded dresses, but she's helped me make further friends in other countries who do them too! Many of them speak little English so it's been tough to have full conversations, but good all the same." 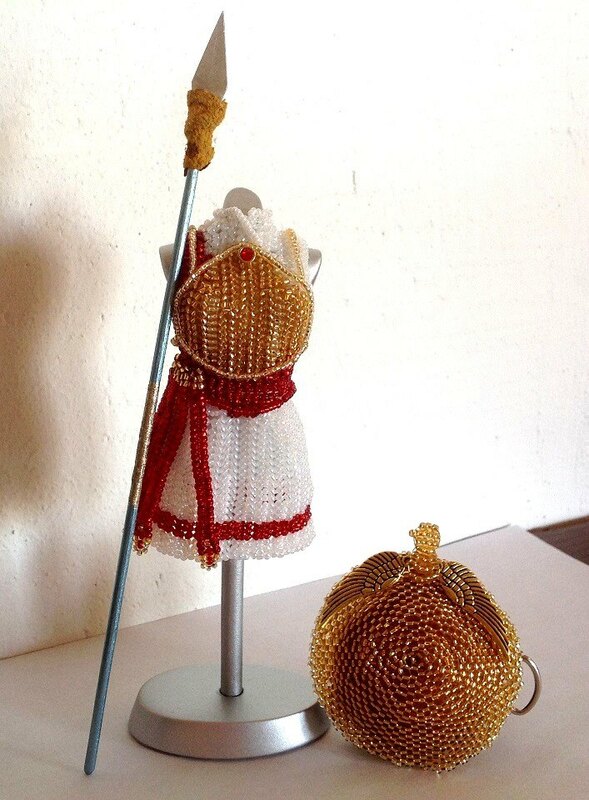 That's amazing to hear of the connection with miniature beaded dress fans from different parts of the world. 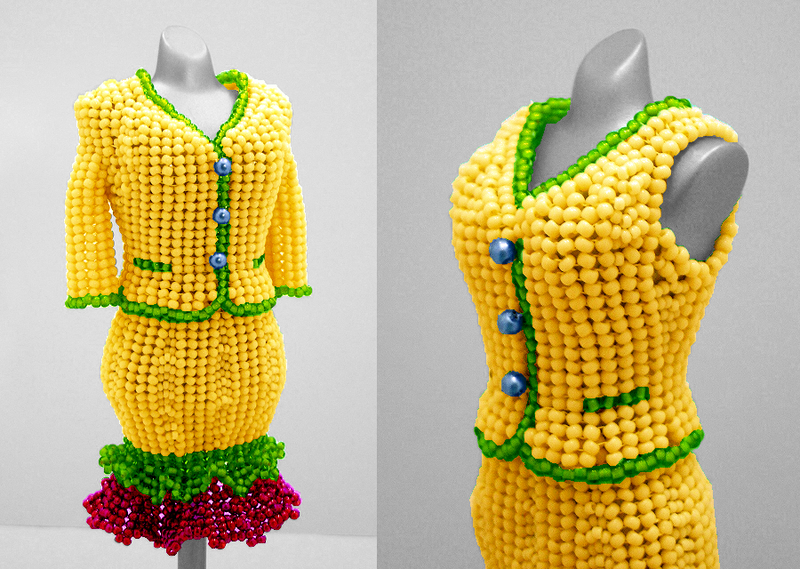 Another of my favorites is the beaded Chanel inspired 2 piece suit. 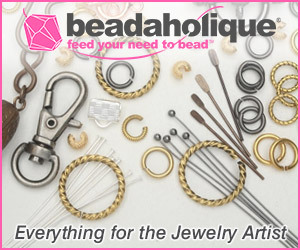 Ashley digitally colors the beadwork in some of her brightly hued design photos in her Deviantart catalog section. 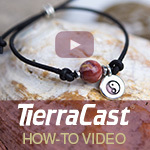 That's because she showcases alternative color schemes for custom orders. The original cream color for the suit can be seen here. 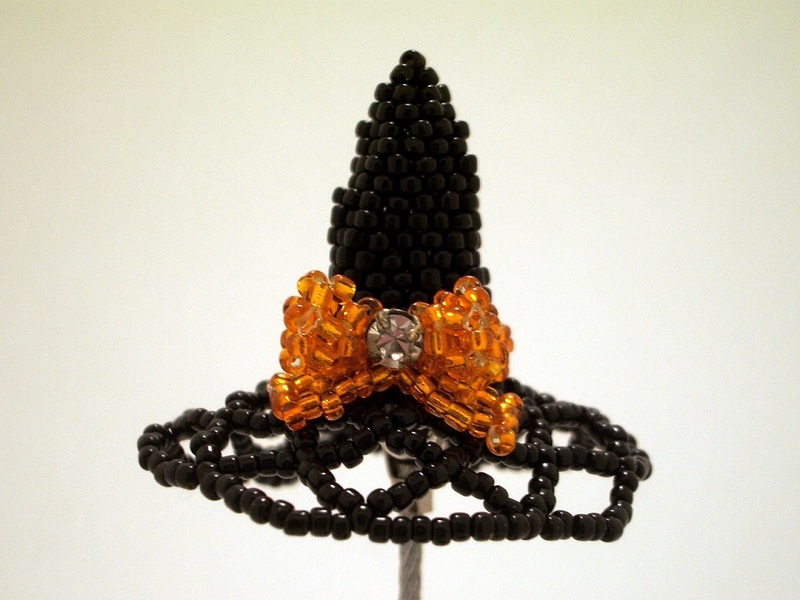 One fun design is her Halloween gown, complete with the fashionable witch's hat! 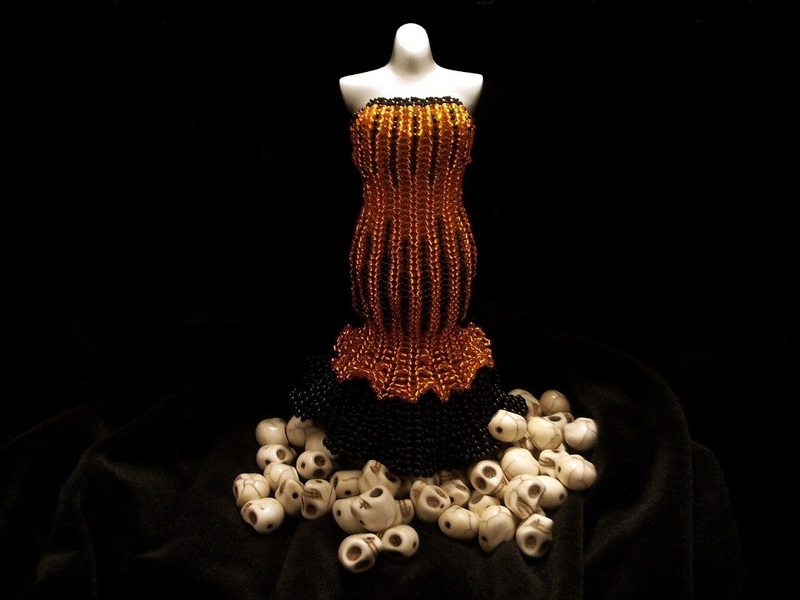 Photographing it with tiny skulls was inspired! A lot of work goes into each and every creation. 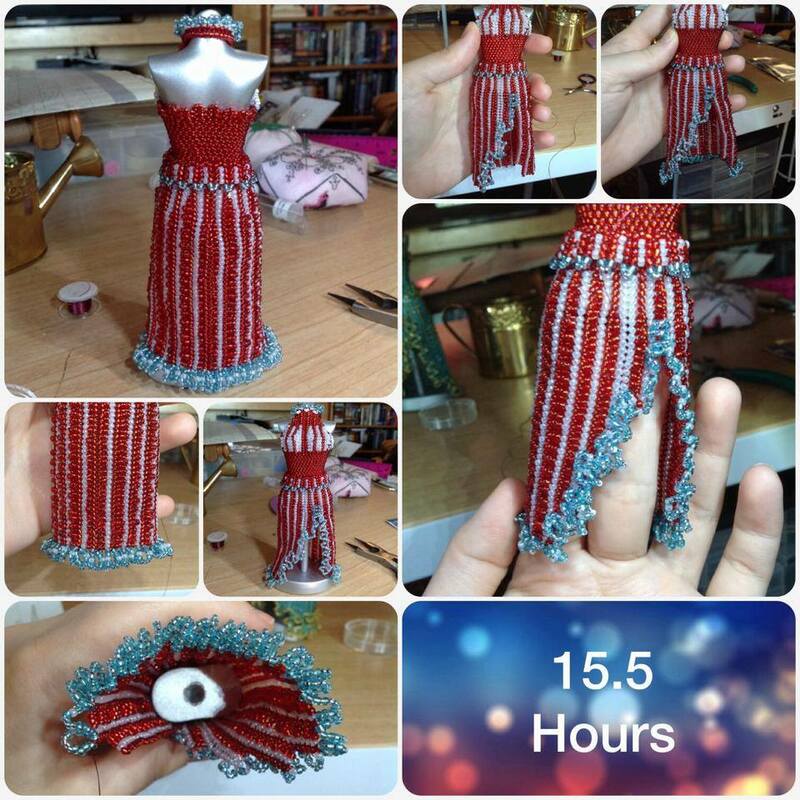 In this progress photo series from Ashley's Facebook , the 4th of July inspired dress below took 16 hours to complete! Some of her original designs are inspired from other artwork like this one called Shield Maiden Kerria which is DeviantArt's Noire-Ighaan's character. 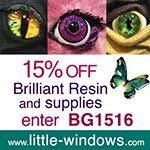 It was created specifically for the graphic novel contest and is available for sale. 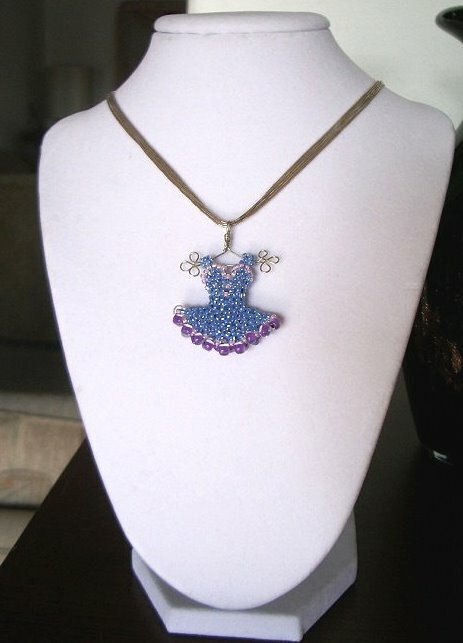 Ashley also makes adorable beaded dress pendants. 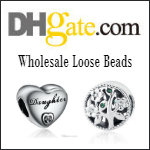 These can be customized with different bead and thread colors. Ashley is also offering a discount (code : PEARL2014) and free shipping through the end of the month. Wow - what an artist. 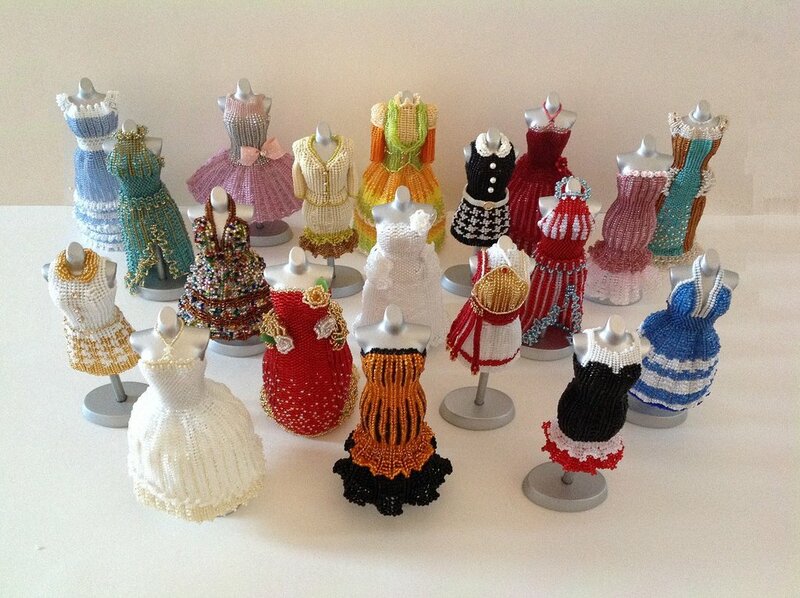 Ashley's talent is phenomenal and the miniature dresses are absolutely incredible.